If you are interested in auditioning for this fantastic show we ask you to email or call us to schedule your audition day and time. have 16 bars of a musical theatre song prepared, sheet music in hand, and have either a music only karaoke track on cd or accessible from a mobile device. 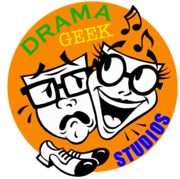 For more information feel free to contact us at www.dramageekstudios@gmail.com or call us at 973-512-8251.